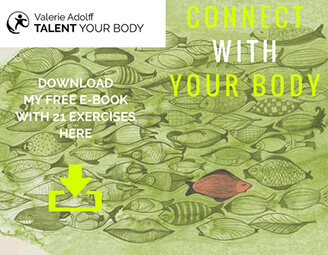 TALENT YOUR BODY – learn to recognise your resources and generate vital strength! It informs you about your posture, your position in a space or social environment, how you feel, what you see and what you do or don’t like, at all times due to its proprioception which means perception of yourself. It provides vital support, because if you are strong and feel good about yourself you have the spirit and motivation you need to pursue your goals. It shows you who you want to be with, whether a social environment tires or stimulates you, who you find easy to love and who you fight with. 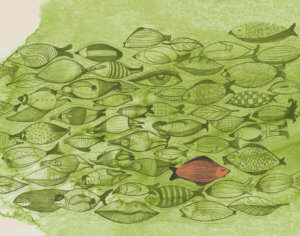 This information is indispensable if you want to learn from your social evolution. This indicator works when everything’s going well and also when everything seems to require an incredible effort. It’s a road towards your talent. It leads you to the best decisions, for the best state of balance between body and mind. yourself from different perspectives, and leave behind: repetitive patterns from the past, obsolete beliefs, limiting pain and tensions, unexpressed emotions and/or old ideas about yourself, allows you to know and feel who you are today and to write your own future. People have two main skills that stimulate us and make us feel whole. One is to feel recognized by our social circle, to feel seen and touched. The other is to learn through and from the difficulties we encounter throughout our lives. These skills are with us at all times, irrespective of the nature of our family, cultural environment, age or experience. Connecting with your body so that you feel your best potential. This will allow you to form connections with others that lead to genuine and real relationships, in which everyone can give their best, socially and culturally. This will allow you to create things together that benefit the whole of the community.